Fat injections are the process of transferring fat from a patient’s body part to other body part that needs it such as the face. The facial lipoinjection improves the face’s contour and the nasolabial furrows and defines the cheeks area. The first step in a facial lipoinjection procedure is to insert anesthesia on both the donor and treatment sites. Fat is extracted with a small needle, processed and re-injected with another needle as thin filaments on the desired area. The treatment site should be filled more than necessary as some fat will be reabsorbed on the following weeks. 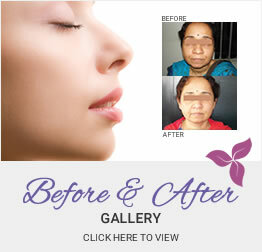 The facial lipoinjection is an ambulatory procedure that lasts from 30 minutes to one hour. Because fat transfer in a facial lipoinjection procedure is made of the patient's own natural cells, there is no allergic reaction. These injections can last some months and in some cases they might turn permanent.